Balcony Safety Nets have become necessory for the high rise appartments. It provides a added protection for your Balconies. Raj Enterprises the Balcony Safety Net Dealers in Hyderabad is providing balcony safety nets in various colour options to choose that best suits your balcony colour. 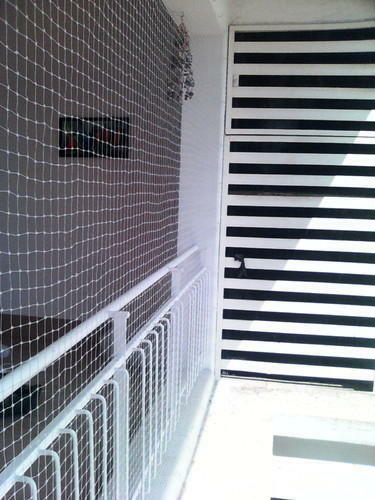 Generally the Balcony Safety Nets are availble in White, Green, Blue colour options. Raj Enterprises has been providing services as the Balcony Safety Net Dealers in Hyderabad for the past 5 years. We have dedicated team to provide balcony safety net installations to our customers. We have executed the balcony safety net projects for high rise apartments, individual homes, apartment roofs etc.